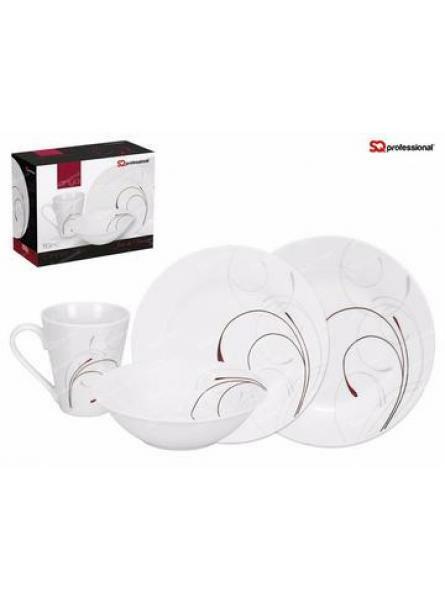 Set comprises of each: 1.. 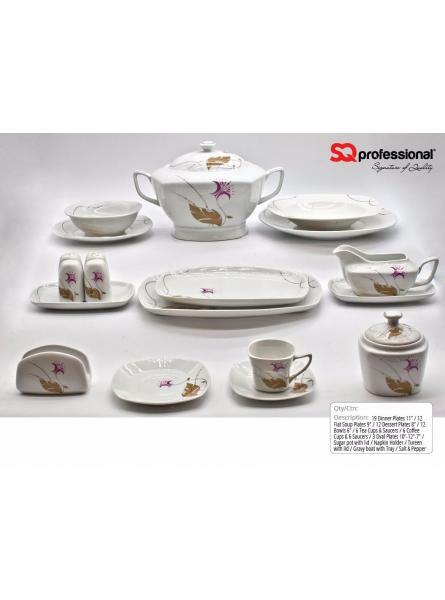 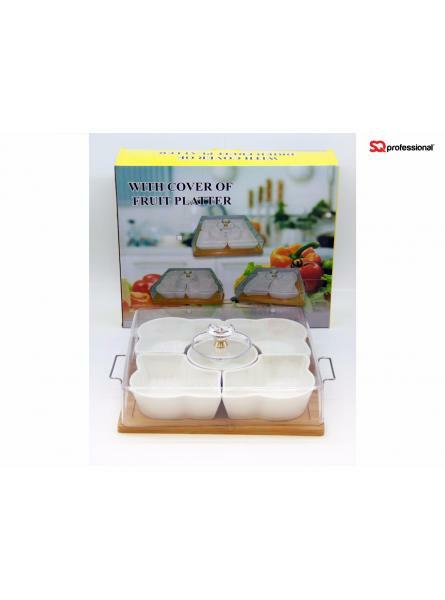 Bone China party set Consisting of 5 different segments with transparent cover to prevent from ger.. 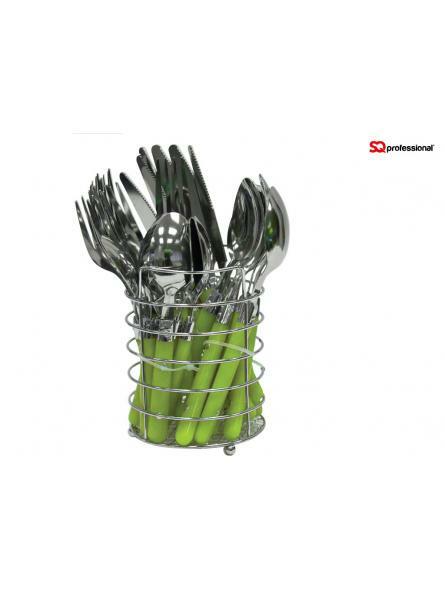 Stainless steel cutlery set with easy care polypropylene handles. &.. 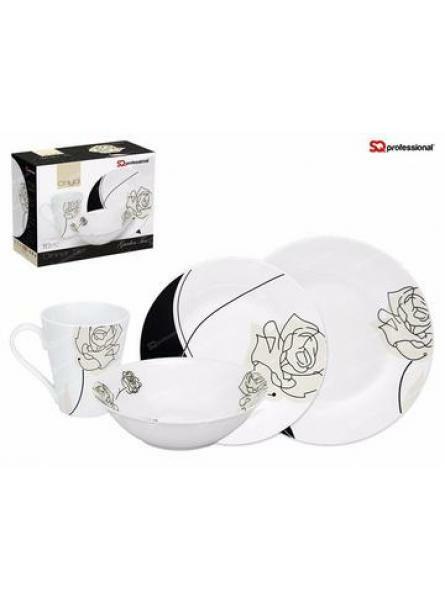 Elegant design; made of high quality fine porcelain; all dishwasher safe4 x mugs (295ml / 10oz)4 x ..